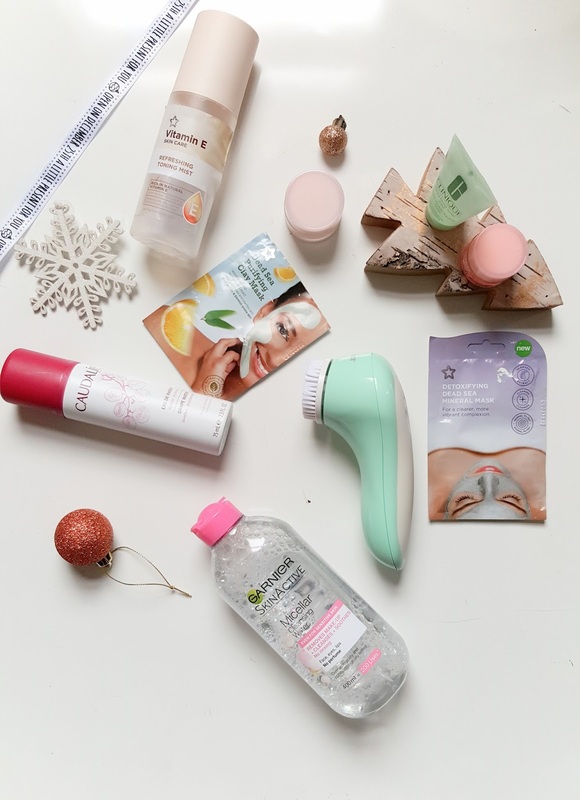 As we are finally in the party season, it's time to make sure that our skin looks good and glowy for the amount of glitter and fake eyelashes that we will be applying on our faces. I love how inexpensive these masks her yet they are so effective. Personally, I prefer peel off masks, I don't know what it is but there is something about peeling off my mask to ensure that my skin feels smooth and soft. 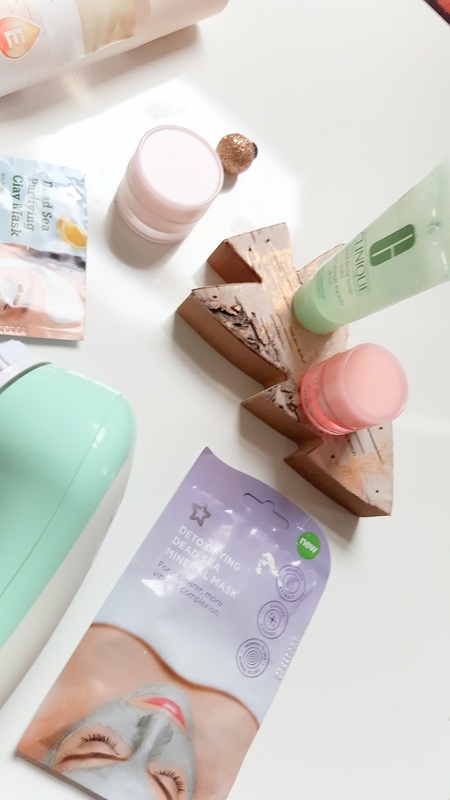 These masks are very gentle on sensitive skin (well mine) and it makes my skin feel completely hydrated after using them. I have been wanting the Clinique Facial Brush for a very long time, I still want it but I recently got a SliverCrest facial brush, which I love to use. Applying my Clinique Facial Soap on my brush and let the magic happen. The brush works very well, it vibrates in circular motions so you also have to do use the brush in circular motions as well. Spending at least one minute exfoliating your skin leaves your skin feeling soft and most importantly clean especially after using the facial mask. As I showed the method of making a scrub in my DIY Brown Sugar Scrub , I will be using this on my lips. First, I will put some water on my lips and then with the scrub exfoliate my lips. After using the scrub, I will apply a hydrating, double duty lip cream as it is very cold outside. Or, I would use the LUSH Bubblegum lip scrub which also works as effective, if not better. I love the way this scrub tastes as well, I know I am not meant to taste it. After washing my face, I will be making sure that my every part of my skin is fully moisturised as makeup does take a lot of your skin. I will be first applying a chapstick or Vaseline to my lips. After using this, I will use my Clinique All About Eyes eye cream to make my eyes look more awake and for better application for my concealer. After, I will use the Clinique Moisture Surge which is a gel like cream to hydrate my face. To ensure that my skin is toned, I will be spraying my Vitamin E Refreshing Facial Spray to even out my skin. How will you be getting your skin party ready this year?